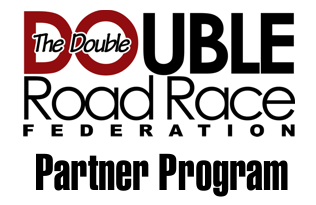 Welcome to the Double Road Race® Partner Program. To become a partner, you must have an established database with a minimum of 500 runners. We are looking for partners who will help us spread the word about our new sport the Double Road Race and help us get participates. Here is our latest schedule of events, click here. The runners you are in contact with will get a discount and you or your charity will be paid a commision based upon the program you choose. To get started, please fill out the form below. Once approved you can get started. Have an established database with a minimum of 500 runners. Actively promote the Double Road Race across your network. If you own a store, place cards in shopping bags as well as hang posters. Place the Double Road Race logo on your website. Educate your database on the difference between the Double Road Race 15k challenge and a typical 15k race. Set up a FREE account on our UjENA Fit Club website for tracking, click here. Placement of your logo on our Double Road Race website. Information about your organization (if desired) placed inside our runner's goody bags. Training Groups Type of training groups involved with this organization. Do training groups arrive at your location or do you form your own training runs? Races Names of the last 10 races this organization has been involved with. 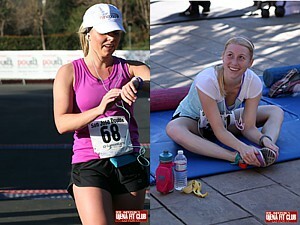 If a runner came to you and asked about the Double Road Race, how would you explain it?